Why are some behaviourists cheaper than others? Why would I pay more than I need to? 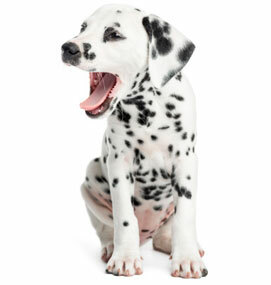 Why is there such a difference in prices when you research hiring a dog behaviourist? 1. Gained a recognised degree in Animal Behaviour or a relevant subject. Depending on the level of degree (Foundation, Batchelors or Masters), they will have studied for between 2 years and 6 years (or even more) to pass these. An average degree course now costs around £9,000 per year or more. 2. Been attending regular Continuing Professional Development courses. After gaining a degree, your professional behaviourist will also be doing Continuing Professional Development (CPD) every year. This usually involves travelling to conferences or workshops, which cost in the region of £150.00 + per day plus accommodation costs for each day of CPD. 3. Joined professional memberships to continue to develop their knowledge and to benefit from sharing knowledge within professional organisations, mentoring etc. Costs vary but can cost around £300.00 per annum. 4. Insurance. Professional practice requires the practitioner to be insured. Professional insurance will be costing in the region of up to £300.00 per annum. 5. Introduced themselves to vets in their locality and provided evidence of their credentials. Behaviour problems very often involve medical problems so a good relationship with the client’s vet is very important. As you can see, a truly professional animal behaviourist has invested a great deal of money into becoming a professional. Let’s tally this up for a moment. A degree course costs approx. £9, 000 per annum. To complete a Bachelor’s degree, you will usually be expected to have completed a foundation degree. To complete a Master’s degree, you will have had to complete a Batchelor’s degree. A Master’s degree is not necessary to work as a behaviourist, but it can improve the practitioner’s knowledge and make them more effective. Minimum education costs to become a behaviourist, based on today’s tuition fees, therefore, is £45,000.00. The ABTC (Animal Behaviour and Trainers Council) is the regulatory body for animal behaviourists. The regulator sets the standards for being accepted as an accredited behaviourist. To be listed on this ABTC register, applicants much join an organisation who has shown the ABTC that their members meet these standards. To be able to join an organisation whose standards have been accepted by the ABTC, the applicant will have to participate in a rigorous assessment process. This process can take many months of unpaid work in writing up case files and evidencing a knowledge of a wide selection of different behaviour problems. The applicant will also need to demonstrate that their approach is effective and ethical. They will also need to demonstrate that they can effectively communicate with clients with different needs. Once the applicant has been accepted, they can become a full member of the organisation and be listed on the ABTC register. To apply to join an organisation of behaviourists it usually costs nothing but will usually take at least three months of full-time effort from the applicant. Membership fees vary, but generally between £70.00 per annum and £300.00 per annum. ABTC listing costs £15.00 per annum. Total costs for behaviour organisation memberships, assuming just one membership plus ABTC = £315.00 per annum. In reality, many practitioners are also registered as a trainer, in which case they will also pay separate memberships for these listings. In some cases, they will have to pay to apply for membership, but this will be a one-off cost. To maintain memberships, a practitioner must prove they attend at least five days of CPD every year. Costs can vary enormously, but the practitioner can expect to spend in the region of £1,500.00 per annum on courses and accommodation every year. A behaviourist must have insurance as this is a risky industry. If you are a member of a professional organisation, evidence of this is required. These costs do not include transport, fuel, equipment, premises hire or staff. These are the costs that must be born just to be able to work as a behaviourist. So, before you ask why a particular behaviourist costs more than others in your locality, please make sure you ask the cheaper ones how much they have spent on their education, professional memberships and insurance every year. What you are paying for is knowledge and experience, not just time. You are also paying for peace of mind, professional support that will actually work and ethical treatment of both you and your dog. When you think in these terms, can you actually put a price on this? I have a new rescue dog! Are treats the only positive training option when training your dog? It's hot! But your pup still needs socialisation. Does Food Always Work in Dog Training?